Jurist and writer Janko Ferk was born in 1958 in Škocijan in Carinthia. He is a judge of the Klagenfurt regional court, a professor at the University of Klagenfurt and a member of the advisory committee for literature at the Office of the Federal Chancellor in Vienna. He cooperated in the workgroup for ethical questions of the Association of Austrian Judges, co-authoring its 2007 Declaration of Ethics (“Welser Erklärung“). Janko Ferk translated numerous works of Slovene authors into German. He also publishes legal dissertations, particularly in the expert journals Neue Juristische Wochenschrift, Pravnik and Staatsbürger. He is a regular contributor to the legal science journal EF-Z (Manz Publishing House, Vienna) and a member of many professional and writers’ associations in Austria and abroad, notably the Kafka Society of America (New York) and the Austrian Franz Kafka Society (Vienna). 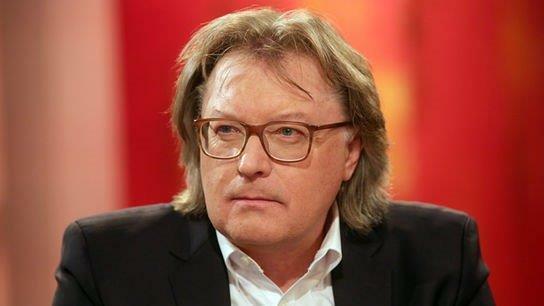 For his literary work, he received several awards, among them the PEN-Club Liechtenstein Prize and the Translators’ Premium of the Office of the Federal Chancellor (Übersetzerprämie des Bundeskanzleramts). To date, he has published over thirty books, which were translated into English, Italian, French, Croatian and other languages. Ferk is the initiator behind the literary lexicon Profile der neueren slowenischen Literatur in Kärnten (Profiles of Contemporary Slovene Literature in Carinthia) published by Johann Strutz, and the dedicated website of Carinthian Slovene literature www.slolit.at. As an editor at the Mohorjeva Publishing House in Klagenfurt in the eighties of the past century, he established the editions Austriaca and Slovenica, which continue to publish translations of Austrian and Slovene literature.